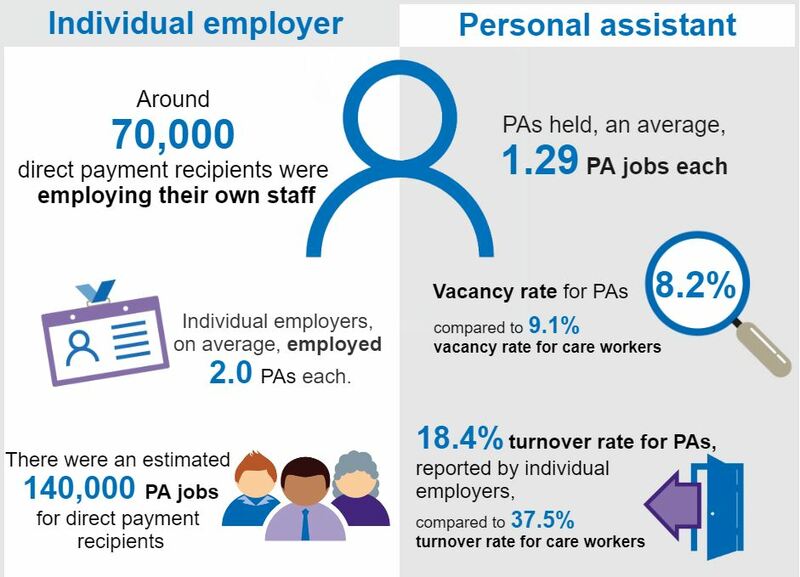 Skills for Care have published their latest findings from their survey research into individual employers and their personal assistants. The report focuses on individuals who employ their own staff (also known as individual employers) and their personal assistants (PAs). There was previously limited knowledge about this part of the adult social care sector, so Skills for Care conducted a survey to find out more. Skills for Care carried out a similar survey in 2017, which provided a good knowledge base about individual employers and PAs. They did another survey in 2019, to build on this knowledge, and to ensure they had up to date intelligence about this growing part of the workforce. Skills for Care say that it is crucial that the sector has clear and robust workforce intelligence about the characteristics of, and issues faced by, individual employers and their PAs. This will help Skills for Care, local authorities, direct payment organisations and other stakeholders to improve the planning and support of the PA workforce, and also improve outcomes for individual employers – both now and in the future.